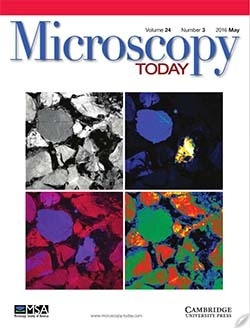 An article on the various applications of cathodoluminescence (CL) has been published in the latest edition of Microscopy Today. The paper discusses the great potential of CL for its ability to obtain spatial as well as optical information down to the atomic scale, by analyzing the visible/near-infrared light generated by a fast electron beam. This article was written by DELMIC’s Toon Coenen and Sander den Hoedt in collaboration with AMOLF’s Albert Polman. Microscopy Today is a leading journal for microscopists and microanalysts which provides updates on the latest innovations in the field.